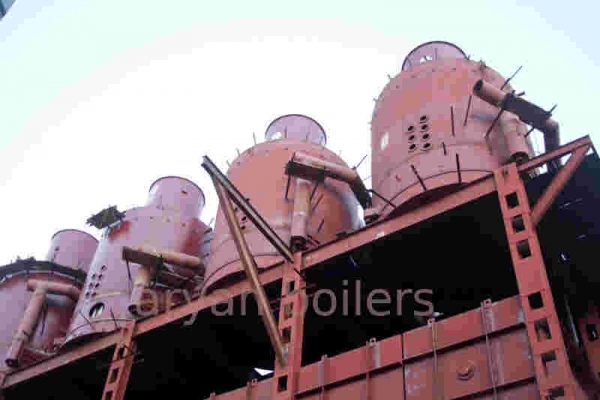 Falling film and rising film type evaporator bodies. · The calandria and distribution of tubes has been designed to ensure adequate outflow of non-condensable gases. · Tangential steam entry has been designed to ensure effective steam distribution. · Centrifugal type internal save-all in conjunction with poly-baffle type entrainment separator. 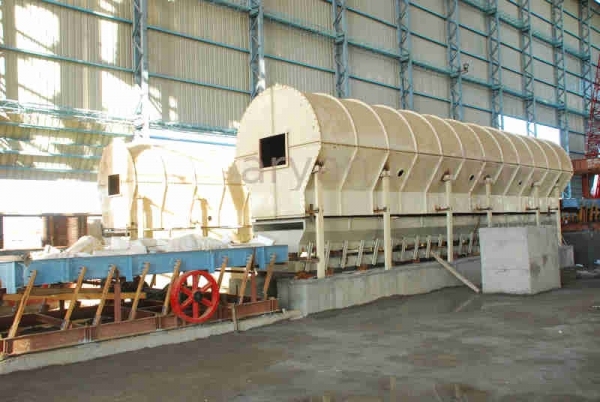 Entrainment separator to ensure complete separation of juice particles. · Single entry multi-jet condensers have been designed to ensure minimum water requirement at condensing station. · The evaporator body and bottom saucer are in Welded construction to eliminate leakages and reduce maintenance. · Low head and rapid boiling type. Tangential steam entry has been designed to ensure effective steam distribution. · The pan body and bottom saucer are in Welded construction body to eliminate leakages and reduce maintenance. ·Single entry multi jet condensers have been designed to ensure minimum water requirement at condensing station.
. Centrifugal type internal save-all in conjunction with poly-baffle type entrainment separator. ·Centrifugal type internal save-all in conjunction with poly-baffle type Entrainment separator to ensure complete separation of juice particles. · Pneumatic operated quick opening discharge and cut-out valves.